But today, it’s a bustling part of the University of Michigan, which has spent recent years putting the site’s laboratories, offices and event spaces back to good use. Now, the last two empty buildings on the site will take on a new life, through a $78.5 million renovation project approved recently by the U-M Board of Regents. The U-M Medical School will use the space to create more than 50 modern research laboratories for its faculty scientists and their teams, and spaces for them to connect with one another to fuel discoveries about many diseases. The project will renovate the last two usable buildings, 20 East and 25, at what U-M calls the North Campus Research Complex. The project will also give all researchers at NCRC a new gathering space, with a two-story atrium filled with natural light. A new two-story connector will make it easier for many at NCRC to navigate the interconnected buildings and connect with one another as they go. "This is a major milestone in our progress toward redeveloping NCRC, and transforming it from an outpost of the university to a magnet," says David Canter, executive director of NCRC. "We’re on track to achieve 100 percent utilization of the site’s existing buildings by 2019." 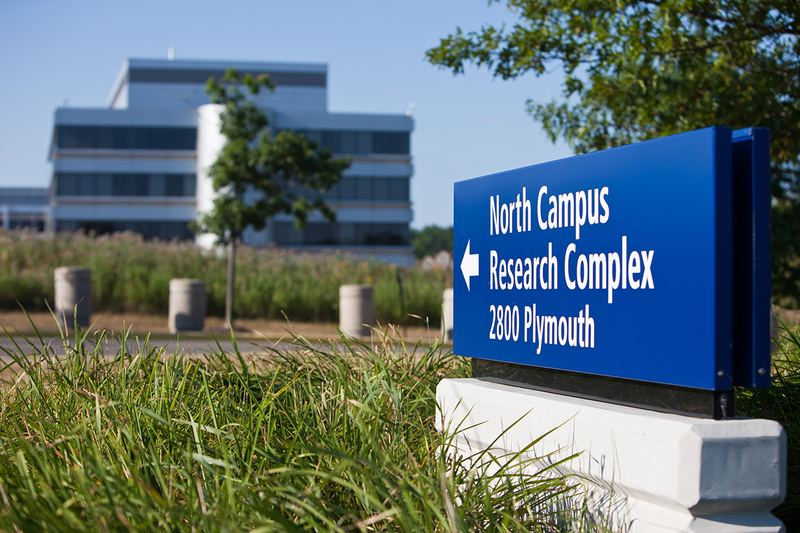 Already, 2,700 people work at NCRC – a number that Canter projects will grow to 3,400. That’s far more than worked there during its pharmaceutical heyday. Canter also notes that in recent years, the Plymouth Road business corridor near NCRC has added new restaurants, shops and services in parallel with U-M’s growing use of the site. The other two major projects now under way at NCRC include an effort to create a new clinical pathology testing facility that will analyze blood samples and other specimens from patients at the U-M Health System, and a $3.8 million plan to turn a former drug manufacturing building into U-M academic archive space. The same advanced climate control systems, multi-story storage and wide corridors that Pfizer once needed to create, package and ship promising new medicines will serve U-M’s needs well, too. The university will conduct a modest renovation to Building 550 to create a modern storage facility for several units on campus, including the Bentley Historical Library; William L. Clements Library; Museum of Art; School of Music, Theatre & Dance; and University Library. The space will provide a modern and stable environment for the preservation of these units' collections. Attention to environmental sustainability, from recycling and composting to public and shared transportation, and a DTE solar panel array. For more information, visit http://ncrc.umich.edu/.